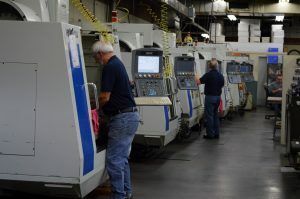 Whalley Precision Inc. is an ISO 9001 certified & ITAR registered family owned and operated precision manufacturing job shop located in Southwick Massachusetts. We specialize in working with the difficult to machine hi-temp & super-alloys like Inconel, Monel, Kovar & MP35N just to name a few. We’ve been in business since 1993, and in that time have cultivated an exceptional group of employee’s with extensive manufacturing experience. Experience that we will not just utilize to provide you with quality parts and assemblies but also assist you with DFM (Design for manufacturing) and NPD (New Product Development) feedback. Please take a look around our website to get a better idea of our capabilities and certifications. If you have any questions at all please feel free to call or email us at info@whalleyprecision.com.